The World Bank has estimated that it will cost between $70 billion and $100 billion annually to adapt to a 3.6-degree-Fahrenheit warmer world by 2050. However, these figures depend strongly on whether our adaptation efforts are proactive or reactive: The United Nations Development Programme estimates that every dollar spent on preparedness for disasters now can save up to seven in relief efforts later. But what does this mean for a local city planner or natural resource manager trying to attach a price tag to a resilience-building project at the local level? A curb cut on a Tucson, Arizona street diverts stormwater to support dessert bounty. In some cases, the upfront cost to take proactive steps to adapt to climate change is low. 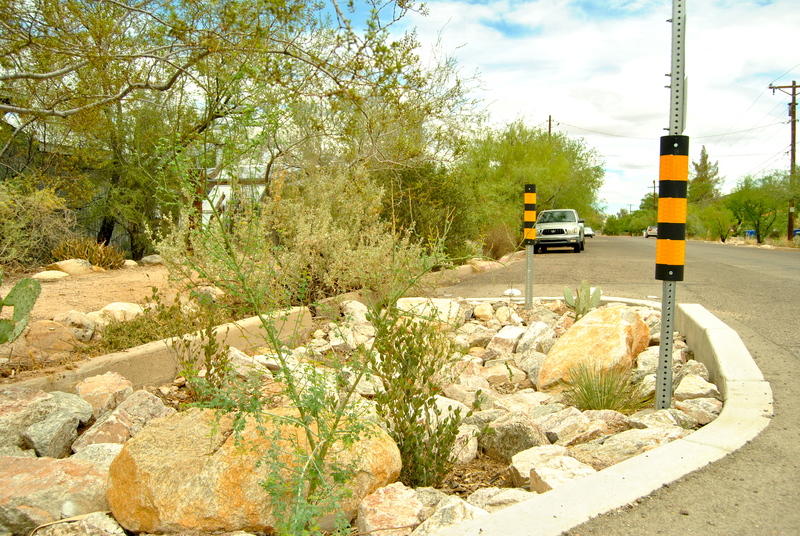 In Tucson, Arizona, rainwater harvester Brad Lancaster experimented with curb cuts that funneled precious rainwater into his sidewalk garden and then worked with the city to create a $50 permit per block to allow others to cut their curbs, too. (Contractors charge $350-$400 per curb cut, or $160 to drill several curb holes. Custom Saw Cuts says that the rainwater-harvesting cuts now comprise up to 10% of their business, while Tucson Concrete Cutting and Coring says coring for rainwater-harvesting accounts for 1% of their work.) His neighbors now ‘harvest’ two acre-feet of water every year and are able to grow more trees to shade their block. In another example of affordable resilience, social mediabased bed-and-breakfast company Airbnb created a Disaster Response program that lets hosts post their apartments or spare rooms for free during an extreme event such as a hurricane. In both of these instances, creative individuals thought of a way to build resilience without breaking the bank. However, many of the larger resilience actions that are required to effectively adapt communities to the impacts of climate change carry expensive price tags that are serious barriers to their implementation. 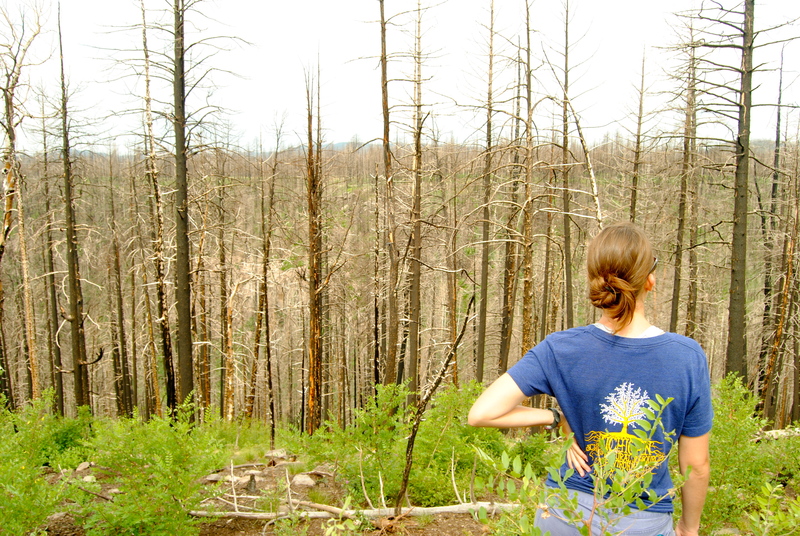 Allie ponders how proactive forest management can help avoid the costly clean-up after forest fires ravage Santa Fe, New Mexico. For the private and public sector alike, the sometimes hefty cost of adaptation projects are often considered in isolation, without considering the estimated costs of inaction or the many economic benefits of adaptation that are not always accounted for in traditional markets—benefits like improved water quality, habitat conservation, or storm protection. Often, though, the costs of inaction are starkly apparent after a disaster. For example, while the Federal Emergency Management Agency (FEMA) spent $441 million on cleanup and compensation after the Cerro Grande mega-fire in the Santa Fe National Forest in 2000, the Santa Fe Watershed receives only $1.5 million per year in federal dollars for thinning trees—one of the main measures that could prevent the forest fires that are intensifying with climate change. Agencies such as the US Forest Service and the FEMA are beginning to make funding available for preparedness, but funds offered for proactive adaptation efforts are still dwarfed by reactive disaster relief money. Private sector companies and individuals can sometimes move more nimbly, but the recognition that adopting a new technology or implementing another adaptation strategy will save money in the long run doesn’t necessarily help overcome the hurdle of upfront costs. 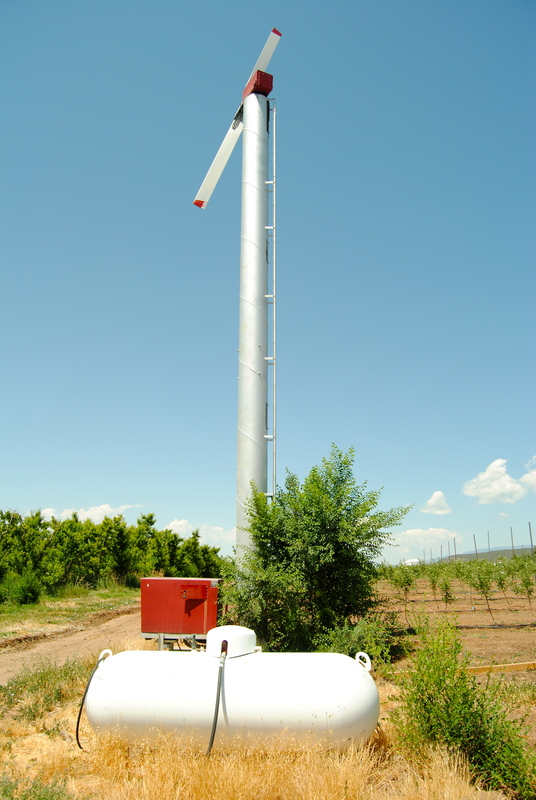 One of many wind machines helps avoid costly frost damage at Ela Family Farms in Colorado. This is a common scenario in agriculture. Farmers are constantly weighing risk and reward when deciding whether to invest in a new piece of equipment or seed variety, try out a new technology, irrigate a field or hold off. Fruit growers on the western slope of the Rockies in Colorado are certainly weighing the costs against the benefits in deciding on how to deal with late spring frosts. These frosts are becoming more of a problem because, as temperatures warm earlier in the spring, cherry and apple buds reach critical stages sooner in the season, and a frost that comes at the wrong moment can wipe out the entire crop. Fruit growers such as Glenn Austin of Austin Family Farms are taking the low-cost approach of lighting small brush fires under his trees when the temperatures drop. Others, however, are investing in expensive wind machines that circulate warmer air to the buds. The machines cost around $32,000 apiece, but according to Lee Bradley of Black Bridge Winery, if his new wind machine saves even one crop, it will make up the expense. To overcome the prohibitive cost, some farmers purchased used wind machines while others shifted to more frost resistant crop varieties. 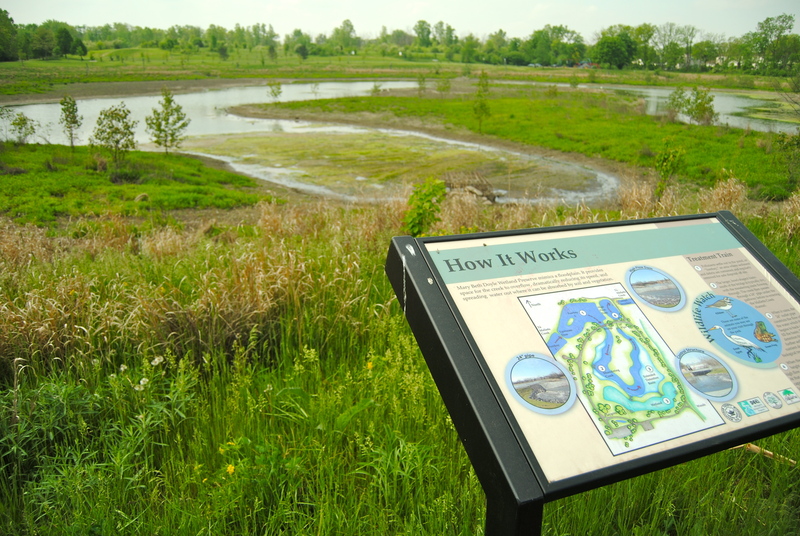 The stormwater utility helped pay for this flood control wetland park in Ann Arbor, MI. At the municipal level, overcoming the problem of upfront costs can be equally challenging, since officials must justify spending taxpayer dollars. Even if adaptation projects have political support, there might not be room for them in the budget. Some communities have been able to raise money for adaptation by rethinking the way residents pay for services like stormwater treatment. In Ann Arbor, Michigan, the city now charges residents a stormwater utility fee based on the square footage of impervious surfaces on their property. (Impervious surface does not allow water to percolate. For instance, a cement sidewalk or building is impervious while a lawn or rain garden is pervious.) Residential stormwater bills range from $13.68 to $71.82 per quarter, which is enough to raise over $5 million each year. The city then reinvests this revenue in stormwater pipe maintenance, public flood protection projects, and an urban tree program. By spreading the cost across many residents, the upfront investment is more manageable for the city and residents directly benefit from the grey and green infrastructure enhancements. Implementation tip #5: Payment for ecosystem services programs can help to overcome the barrier of upfront costs by distributing the costs of resilience-building projects among the people that benefit from them. Often, it takes committed, creative, and far-sighted individuals to make the case for spending money now to reduce climate risk in the long-term. In Norfolk, Virginia, Jim Redick and Latoya Vaughn of the city’s Office of Emergency Management are chipping away at flood mitigation projects that consulting firm Fugro Atlantic estimated would cost a cumulative $1 billion to implement. Vaughn, for instance, works directly with residents to apply for up to $30,000 in FEMA grant funding to raise their homes above the base flood elevation. Redick’s leadership was instrumental in Norfolk’s selection for the Rockefeller Foundation’s RE.invest Initiative, which included in-kind engineering support, as well as its selection as a Rockefeller Resilient City, which will provide them with a citywide resilience officer. When adaptation funding is competitive, framing and persistence can go a long way. « Older Post How can new partnerships help build resilience? 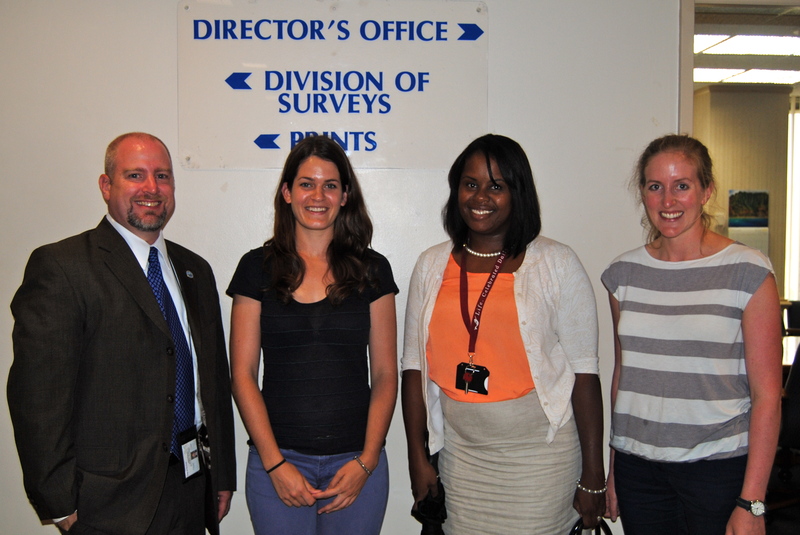 » Newer Post How can communities reduce carbon emissions while preparing for climate change impacts?